Though his father was Jewish, actor Kevin Kline is not a Jew. Wikipedia reports, "Kline's father was Jewish, from a family that had emigrated from Germany; Kline's mother was of Irish descent, the daughter of an emigrant from County Louth. Kline was raised in his mother's Catholic religion (his father had become an agnostic)... He graduated from the Catholic Saint Louis Priory School in 1965." In the controversial new film, The Last of Robin Hood Kline plays Errol Flynn (who was not Jewish). The movie recounts Flynn's last scandalous affair with young underaged girl - Beverly Elaine Aadland - and has received some criticism and negative reviews because of that pedophilic theme. NEW! Dear Rabbi: The Greatest Talmudic Advice NEW! My Talmud teacher in high school, my rebbe for two years, passed away a few days ago at age 104. Rabbi Yankelewitz taught his talmud shiur in Yiddish, a language that I did not speak. Yet I somehow thoroughly understood Rabbi Yankelewitz's shiurim. He made the texts so clear and was so patient, that I learned a tremendous amount while studying with him. After his shiur I went on the study with Rav Aharon Lichtenstein for two years, and then with Rav J. B. Soloveitchik for four years, and I became an ordained rabbi. I admired Rabbi Yankelewitz for being brilliantly learned and yet never boastful. And my highest compliment, I liked him as a person. He was at once a gentle man and a gentleman and a firm and persistent teacher. Reading this meaningful obituary below, I found myself near tears. It briefly describes a truly beautiful soul who has departed from our world. I am sure the soul of Rabbi Yankelewitz will cheer and brighten the next world, where I pray that he has everlasting peace in the paradise of Gan Eden with all of the eternal rewards that he so richly earned and deserves. Long-serving YU Prof Succumbs At 104. Rabbi Gerson Yankelewitz remembered as ‘true giant’; studied with fabled leaders of old world Jewry. ...Rabbi Gershon Yankelewitz, died at 104 on Aug. 19 of a heart attack he suffered during the morning Shacharit service in upstate New York, where he spent his summers for several years. He was buried in Israel. Rabbi Yankelewitz, who lived in the Pelham Parkway neighborhood of the Bronx, was believed to be the oldest person who maintained a regular teaching schedule at any university, yeshiva or rabbinical school in the United States, according to a YU spokesman. With the title senior rosh yeshiva, he taught a daily Talmud class and conducted a weekly Mussar (ethics) lecture for 60 years, and gave a daily lecture on Mishnayot between Mincha and Maariv services at the Young Israel of Pelham Parkway. No, Elvis Presley was not a Jew. Wikipedia reports that, "The family attended an Assembly of God church, where he found his initial musical inspiration. Presley's ancestry was primarily a Western European mix: on his mother's side, he was Scots-Irish, with some French Norman; one of Gladys' great-great-grandmothers was Cherokee. 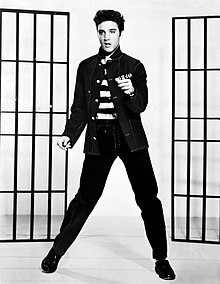 Presley's father's forebears were of Scottish and German origin." The interview with the cantor was done by KCRW. They summed it up: "The story of an orthodox Jewish family who lived above Elvis Presley’s family in a house in Memphis. They would often call on teenage Elvis to be their Shabbos Goy - the gentile who would perform "work" that religious Jews did not do while on the Sabbath or day of rest. In return, the Fruchter’s may have unwittingly influenced Elvis’ music." Is the United Nations Kosher? No, the United Nations is not kosher. The declaration in the General Assembly in 1975 that Zionism is racism. The creation of refugee camps in the Gaza Strip and West Bank in 1948-49 to prolong the suffering of the Palestinians and to foster terrorism. The appointment of Kurt Waldheim, a former Nazi Wehrmacht officer, as Secretary General from 1972 to 1981. So indeed, Oom Shmoom, not kosher! Harry Fischel was a household name in Jewish communities throughout the world during the first half of the previous century, but his impact on Jewish life today is even greater than it was when his biography was first published in 1928. What set him apart from virtually all the other philanthropists of his era was the percentage of his time and the amount of his fortune that he devoted to Jewish education in America and in Israel, and his roles in both founding and funding many charitable and educational institutions that changed the face of Jewish life for the better. Our neighbor, Rabbi Shmuely Boteach made the front page of the Bergen Record today because of anti-Arab ads he has taken out in newspapers, "Rabbi Shmuley Boteach of Englewood has thrust himself onto the public stage again, this time in a worldwide arena at a particularly contentious time." 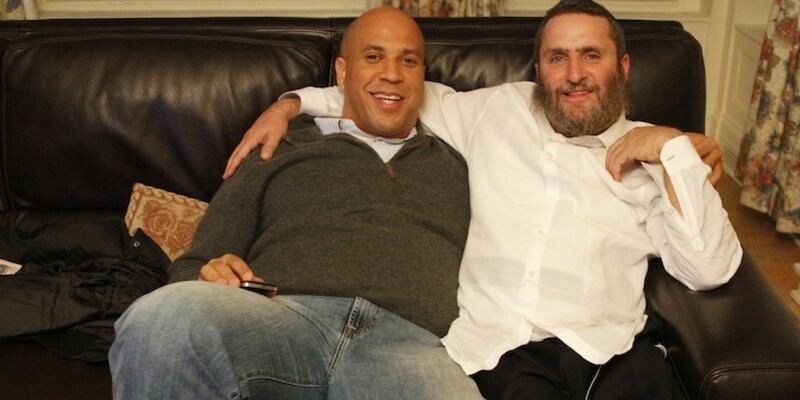 We admire Shmuley's chutzpah and his status as a celebrity rabbi. It's America and there is nothing wrong with being a successful celebrity in the USA in 2014. When he ran for congress, Shmuley survived scrutiny of his previous activities and has thrived in the world of celebrity personalities. We have to admire that. Through a foundation he controls, Boteach has launched a series of ads in national and international newspapers to fight what he considers unfair criticism after Israel’s sweeping incursion into Gaza over unprovoked rocket attacks from Hamas. And we wish him all the best in his campaign for the Nobel Peace Prize. Wait, is he up for that? How sad. He is dead. 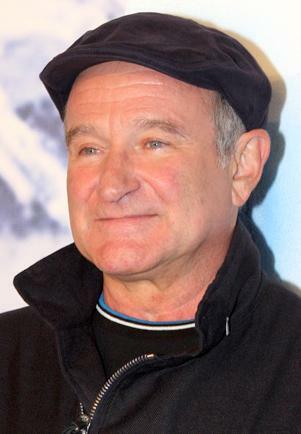 Was Robin Williams a Jew? No. His father was Episcopalian, his mother was a Christian Scientist. It makes no difference. I mourn. He was such an amazing talent. A phenomenal energy. Too young. Too soon. Too tragic. With great pride I'm letting you know that I have published a new Kindle book. I think you will enjoy my foreword and you will find this book a useful addition to your library. Please share this post to let people know! I thought you might be interested in my new book from Amazon. Can a Woman's Magical Powers Remove the Evel (Kneivel) Eye? I found this funny ad in the Five Towns Jewish newspaper. Had to comment on whether there is such a thing as the Evel Kneivel eye. Rebbetzin Aidel Miller claims she can remove the Evel Eye because she is "blessed with tremendous siyata d'shmaya" - with the help of heaven. Let's see. Who was "Evel" Knievel? He was an American daredevil, painter, entertainer, and international icon," according to Wikipedia. Why of course. Since he was a dare-devil he must have been involved with the Evel Eye! If the Evel Eye is like the Evil Eye (ʿáyin hā-ráʿ עַיִן הָרַע‎) then it is bound up with the magical idea that there exists a "malevolent look that many cultures believe able to cause injury or misfortune for the person at whom it is directed for reasons of envy or dislike." The notion behind the typo-hilarious ad is that rabbis and other holy men and women can banish evil forces and demons through the use of their special powers based in knowledge of the secrets of the Torah, the Talmud and the Kabbalah, with the help of G-d.
You might ask, how can we take anything in Talmud seriously if it promotes the idea that there are evil forces of envy and many other invisible demons at work in world? Aren't those magical ideas just ancient superstitions that we no longer take seriously? And if we dismiss such notions, don't we need to dismiss the whole body of religious literature that contains those bad ideas? That is a good question that Dear Rabbi may have to answer in his next column. Yes, "the world's most famous living architect," Frank Gehry is a Jew. The Jewish Journal extols him and his new found involvement in Jewish architectural projects in a recent article. The secret to architect Frank Gehry’s genius? Grandma’s gefilte fish. Avoiding the press after a slew of praise, Gehry is now completing a number of projects in his Santa Monica offices, including a schematic design for the $130 million Winnick Institute in Jerusalem, a project of the Simon Wiesenthal Center to promote mutual understanding and respect among the world's communities. It is Gehry's first formal work of public Jewish architecture in his nearly 50-year career, and it has unlocked a host of memories and associations. "Frank is delving into his Jewish background in a way I don't think he's really done in the past," says Craig Webb, Gehry Associates project designer. Gehry has looked to both the Star of David and the octagonal format of Islamic architecture for inspiration. "We hope this building in any small way can contribute to the resolution of the conflict in Israel and the Middle East." Considering Gehry's celebrity and Israel's sinking tourism and morale, the project couldn't have come at a better time. The architect's Guggenheim Museum in Bilbao, Spain, single-handedly put the small regional capital of the Basques on the map. A riot of titanium-clad sails and surfaces, the museum was nearly universally extolled when it opened in 1997 as one of the greatest buildings of the 20th century. Already awarded the Pritzker Prize (considered his profession's Nobel) in 1989, Gehry has become the world's most famous living architect. Is Hall-of-Famer retired commissioner of the NBA David Stern Jewish? Yes, the retired commissioner of the NBA, David Stern, is a Jew who grew up in my town, Teaneck, NJ. Stern ended his run as commissioner Feb. 1 after exactly 30 years — he won't say retired, because he's still working — and once thought he would wait five years for induction, or the same as players. But officials from the NBA and Hall of Fame believe he belongs immediately. "It would be hard to overstate the impact I think David has had on the game of basketball," said P.J. Carlesimo, a former coach in the NBA and at Seton Hall. "Admitting that I'm prejudiced toward basketball, David Stern could go down in our era as the greatest commissioner of all time in all sports." 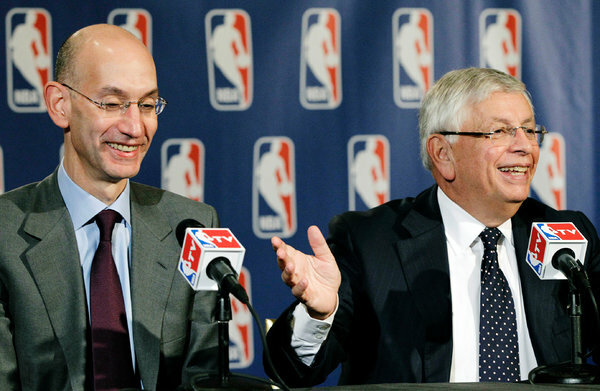 The Times lauded Stern, "In a Transition Game, David Stern Is Passing the N.B.A. Commissioner’s Hat to Adam Silver." All accounts of his career extol Stern's achievements. All that success, and he has a sense of humor. Stern appeared on the Letterman show on TV and did a top ten list segment. Tomorrow night is Tisha B'Av and that means the saying of Kinnos, the special poetic elegies composed for this most tragic day. Most of the Kinnos are very difficult to comprehend, even for someone who knows Hebrew, and short of having a very good translation, they are virtually unintelligible. To somehow alleviate the problem, I present my "Keynotes on Kinnos" which has been running on the wonderful site www.halakhah.com for your perusal and downloading. I have lots of other material there, including the Reformatted Soncino Talmud. That's free, too. I think you will find it all to be educational, interesting and very useful. 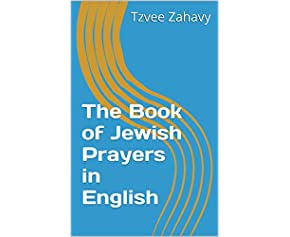 Also, please note that I am selling three great (they really are) books, which can be ordered from Judaica Book Centre at jbc@jewishbooks.org. Books are softcover. Shipping and handling vary according to your location. NEW BOOK! Dear Rabbi: The Greatest Talmudic Advice NEW BOOK!